Yemeniti Huthis rebels on May 31, 2015, shelled the "Amsterdam" which was approaching Aden, carrying some 7,000 tons of humanitarian food on board destined for the civil population. At the time of firing vessel was about one mile off port. The "Amsterdam" turned back and sailed to a position seven miles off Aden. The vessel had set off from Djibouti, which the UN uses as a hub for humanitarian aid bound for Yemen. A ship chartered by the UN's World Food Programme has docked in conflict-hit Yemen bringing precious fuel to boost aid deliveries, the agency said in a statement on Sunday, May 10. The boat docked Saturday in the western port of Hodeida in a move aimed at "opening up a new humanitarian lifeline for civilians impacted by the conflict" in Yemen, where drastic fuel shortages have hurt aid operations, the WFP said. 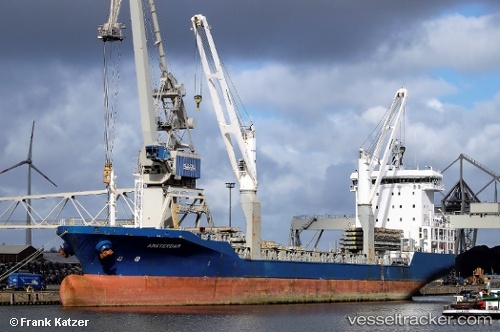 It said that the MV Amsterdam brought into Yemen 300,000 litres of fuel and supplies for humanitarian organisations, while a second vessel would bring an additional 120,000 litres of fuel on Sunday.